Don’t step out till you are done watching the end-credits — you don’t want to miss out on the extra fun. The film retains its graphic style and is heart-warming to the core. 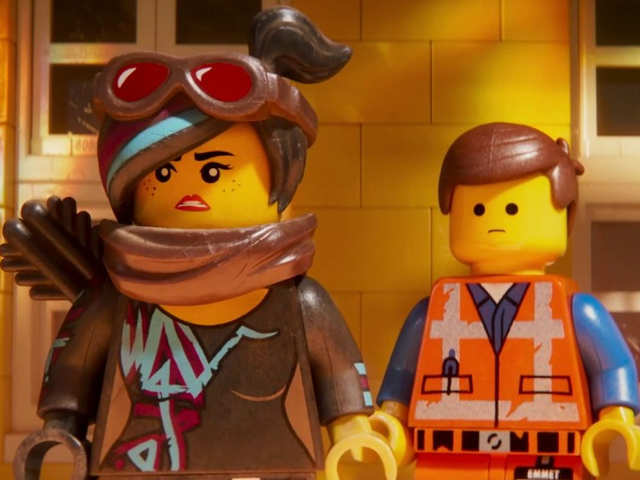 The sequel to the 2014 blockbuster, 'The Lego Movie 2: The Second Part' retains its unique sense of humour. 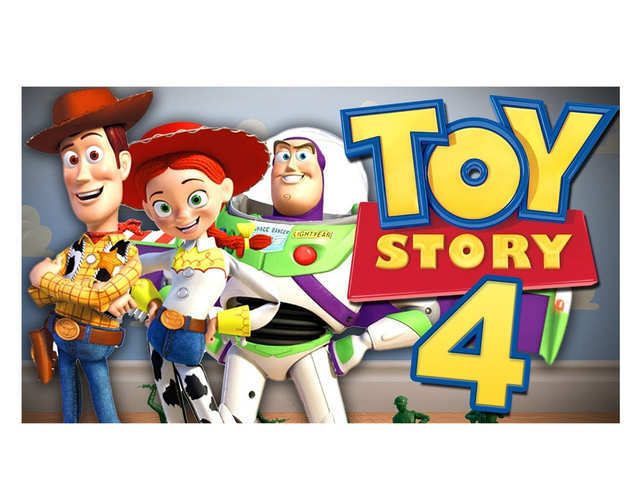 The film reunites the heroes of Bricksburg to fight against alien invaders in this action-packed adventure drama. It ’s been few years since Emmet (Pratt) and his comrades Wlydstyle (Banks), Batman (Arnett), Unikitty (Brie), Metalbeard (Offerman) and Benny (Day) saved their town. The film picks up from where the original film left off — a new threat from another universe now terrifies the citizens of Bricksburg. Emmet’s friends have been abducted by alien forces and he needs to find a way to restore peace and make everything hunky-dory again. The film keeps its graphic style and is heart-warming to the core. The sequel has raised the bar and is faster and packed with more fun and action. 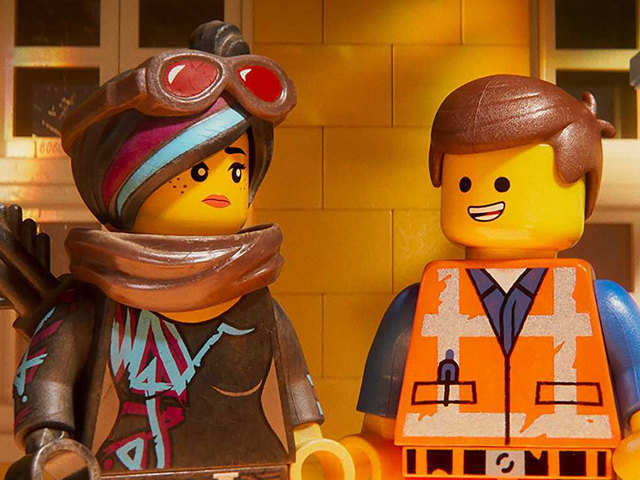 Writers Phil Lord and Christopher Miller, who also penned the first Lego Movie, have maintained the franchise’s novelty. With a fun narrative and clever execution, the film is fuelled with adrenaline. The writing caters to grownups and the content is fresh. While Pratt works his charm and lends his voice to two characters, Arnett and Banks pack a punch. The foot-tapping music will keep you in the groove. The makers maintain the uniqueness of the film, leaving a lot of scope for another sequel. Don’t step out till you are done watching the end-credits — you don’t want to miss out on the extra fun. 2018 was a great year for entertainment. Hollywood churned out a slew of hits, from the stable of Marvel, DC Comics, to those from Disney. Well, this year too, promises to be an exciting one. 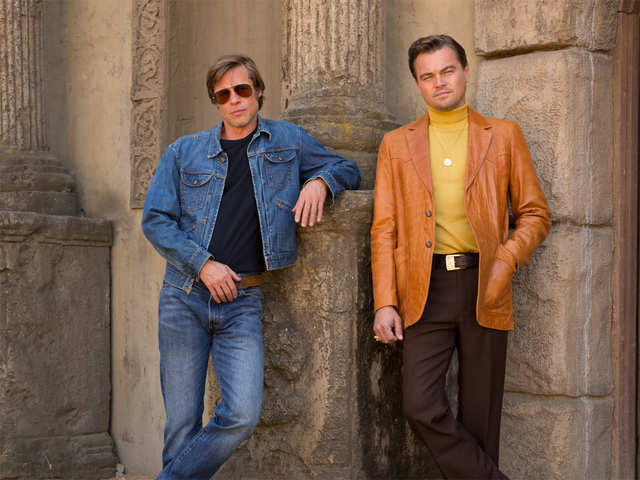 The line-up in 2019 includes Quentin Tarantino’s latest, 'Once Upon a Time in Hollywood', 'Moonlight' director Barry Jenkins’ second feature, and Taraji P Henson in 'What Men Want'. 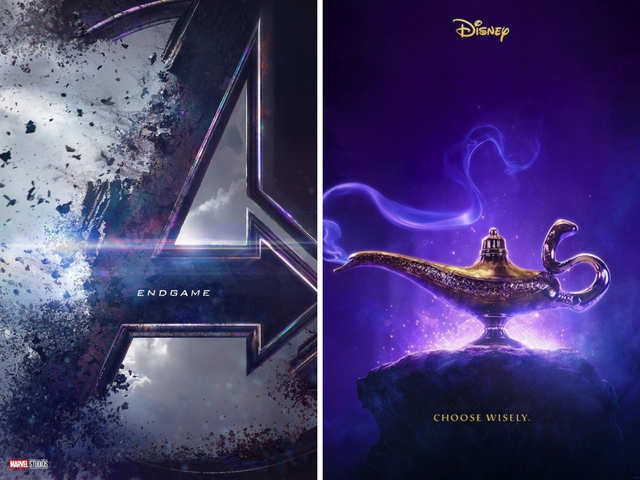 From 'Avengers: Endgame' to 'Toy Story 4', 'StarWars' to 'The Lion King', Disney has at least five films that could very well shatter records at the global box office in 2019. 2018 was a great year for entertainment. Hollywood churned out a slew of hits, from the stable of Marvel, DC Comics, to those from Disney. Well, this year too, promises to be an exciting one. 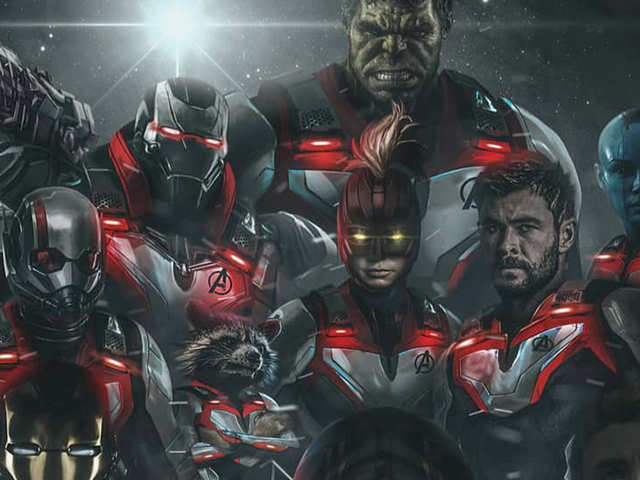 The lin..
Marvel dropped the first trailer for their fourth film, 'Endgame', on December 7, as we saw Tony Stark (Robert Downey Jr) adrift in space while his colleagues Captain America (Chris Evans) and Black Widow (Scarlett Johansson) mourn him and try to come up with a plan to save him. Marvel dropped the first trailer for their fourth film, 'Endgame', on December 7, as we saw Tony Stark (Robert Downey Jr) adrift in space while his colleagues Captain America (Chris Evans) and Black ..
A woman is boxed out by the male sports agents in her profession, but gains an unexpected edge over them when she develops the ability to hear their thoughts. 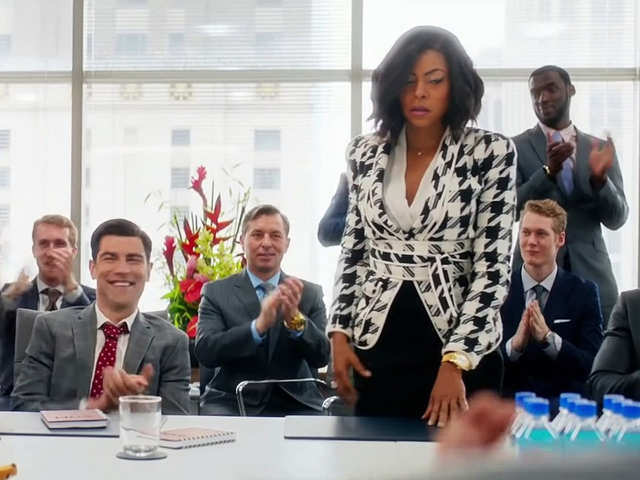 The main lead in the film is played by Taraji P. Henson. A woman is boxed out by the male sports agents in her profession, but gains an unexpected edge over them when she develops the ability to hear their thoughts. 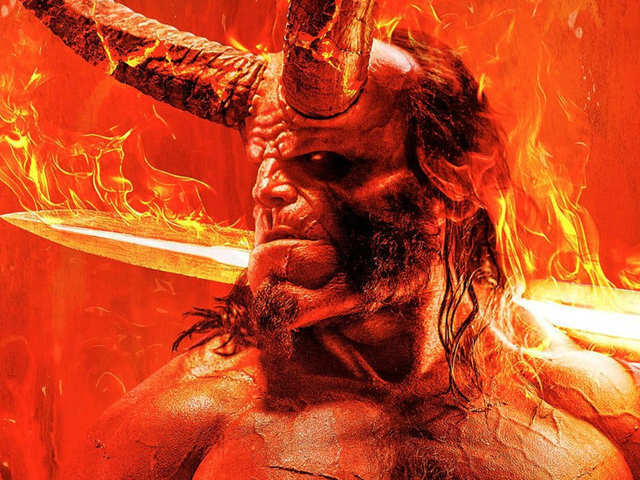 The main lead in the film is played by T..
Based on the graphic novels by Mike Mignola, 'Hellboy', who is caught between the worlds of the supernatural and human, battles an ancient sorceress bent on revenge. The film stars David Harbour, Milla Jovovich and Ian McShane. Based on the graphic novels by Mike Mignola, 'Hellboy', who is caught between the worlds of the supernatural and human, battles an ancient sorceress bent on revenge. The film stars David Harbour, Mil.. The 'LEGO Movie 2' reunites the heroes of Bricksburg in an all new action-packed adventure to save their beloved city. It’s been five years since everything was great and the citizens are facing a huge new threat: invaders from outer space, wrecking everything faster than they can rebuild. The film stars Chris Pratt, Channing Tatum and Elizabeth Banks. The 'LEGO Movie 2' reunites the heroes of Bricksburg in an all new action-packed adventure to save their beloved city. It’s been five years since everything was great and the citizens are facing a hu.. This could be the romantic comedy to end all romantic comedies, fit with an all-star cast of Rebel Wilson, Chris Hemsworth, Priyanka Chopra, Jennifer Saunders and Adam DeVine. The movie is about the tale of a young woman who falls and hits her head, and wakes up in a sickly sweet lovey-dovey world that will only go back to normal when she falls in love. This could be the romantic comedy to end all romantic comedies, fit with an all-star cast of Rebel Wilson, Chris Hemsworth, Priyanka Chopra, Jennifer Saunders and Adam DeVine. The movie is about the .. 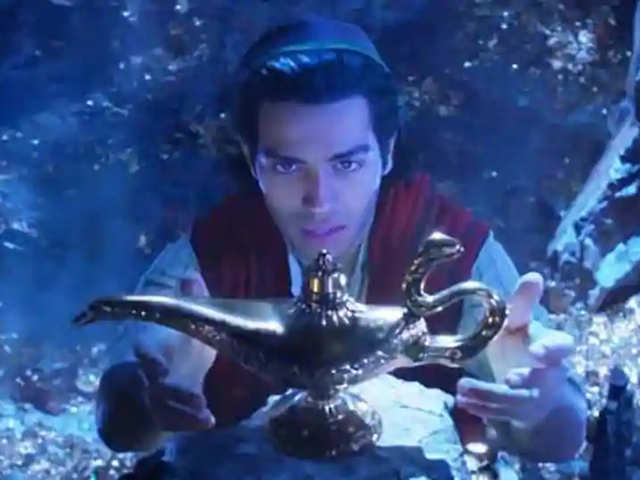 The film is a live-action retelling of the 1992 Disney film of the same name. The film stars Will Smith, Mena Massoud and Naomi Scott. The film is likely to be a standalone adventure/love story, which will centre around the search for Bo Peep. The object of Woody's affections was missing from the last movie, with Lee Unkrich, who directed 'Toy Story 3' saying that she had been sold at a yard sale. Crumbs. The film stars Tom Hanks, Tim Allen and Joan Cusack. The film is likely to be a standalone adventure/love story, which will centre around the search for Bo Peep. The object of Woody's affections was missing from the last movie, with Lee Unkrich, who di..
A faded TV actor and his stunt double embark on an odyssey to make a name for themselves in the film industry during the Helter Skelter reign of terror in 1969 Los Angeles. The film stars Margot Robbie, Brad Pitt and Leonardo DiCaprio. A faded TV actor and his stunt double embark on an odyssey to make a name for themselves in the film industry during the Helter Skelter reign of terror in 1969 Los Angeles. The film stars Margot Robb.. 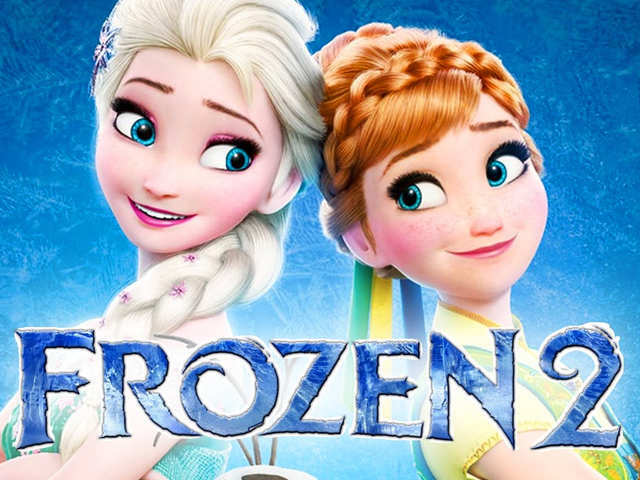 This will be the sequel to Walt Disney Pictures' 53rd full-length animated motion picture, 'Frozen' which released in 2013. The film stars Kristen Bell, Idina Menzel and Josh Gad. This will be the sequel to Walt Disney Pictures' 53rd full-length animated motion picture, 'Frozen' which released in 2013. The film stars Kristen Bell, Idina Menzel and Josh Gad. (Trailer: https://w..